I’ve used sketchbooks to keep track of my thoughts and plans since college, which somehow was over a decade ago. In black hardbound sketchbooks I have planned many events, creative projects, kept track of life’s whatnots, and shaped random thoughts into ambitious ideas. (Also occasionally, you know — sketching, it’s intended purpose.) While it’s an eye-pleasing and oh-so-artsy way of life organizing, it’s not without its faults. Whenever I look through old sketchbooks, it’s idea after idea that I have totally forgotten about! I tend to only look through the sketchbooks when I’m feeling reminiscent, or happen to remember that I’d jotted down something pertinent at some point in time – so I’ll spend an hour looking through pages of forgotten ideas, hoping to stumble on the one I’m looking for, but usually getting distracted by something else in there. It’s not exactly an efficient process. I’ve been a Cardsmith employee for a couple of months now, and I began using it for life organizing at the same time. I started with one board for all of the creative projects I was thinking about/working on, and after an hour or two of shaking out all of my thoughts onto the board I was left with one: “Holy shinola I’m going to sleep well tonight.” (And I DID.) Instead of streaming through my mind, keeping me awake, or in random pages of a sketchbook – I get to see all of my ideas at once. My visually-oriented brain finds this very satisfying. Before I felt like I was always trying to catch ideas for fear of losing them, and now they have a proper home, and a well-organized one at that. Instead of scribbling, “Use Liz Lemon/30 Rock oily fate quote in book” on whatever page I’m on in the sketchbook; I navigate to my board specifically for the book I’m writing, open the card specifically for the section of the book I want it in, and paste; “You can’t force the fate, you just have to let it wash over you like a spray tan that won’t take because your skin is too oily”. It’s brilliant. 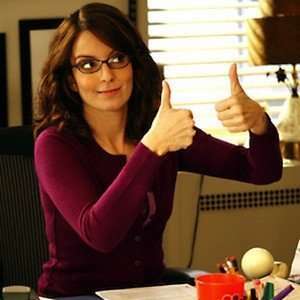 (Like Tina Fey.) Not only do I not lose ideas, but routinely seeing them helps them to grow and take shape faster. I tend to have many proverbial balls in the air at all times, and I used to drop the occasional ball/project by accident and not even notice for awhile. Now they’re neatly lined up on my home board, impossible to drop, and ready to grow. I’m up to 7 boards; one for the book, one for freelance articles, one to keep track of medical appointments, and several more for specific ideas/projects. And, of course, I also use Cardsmith to work for Cardsmith! Our CEO, Monica, has a few columns for me in one of her boards – making it an easy place to communicate detailed ideas, keep track of hours, and to catalog everything I’m working on. And the final perk – my sketchbook is for sketching again! The last two months there are only drawings, where before it was mostly lists. So thanks to Cardsmith; for employment, for helping me to sleep better at night, and for returning my sketchbook to the glory of its true purpose.